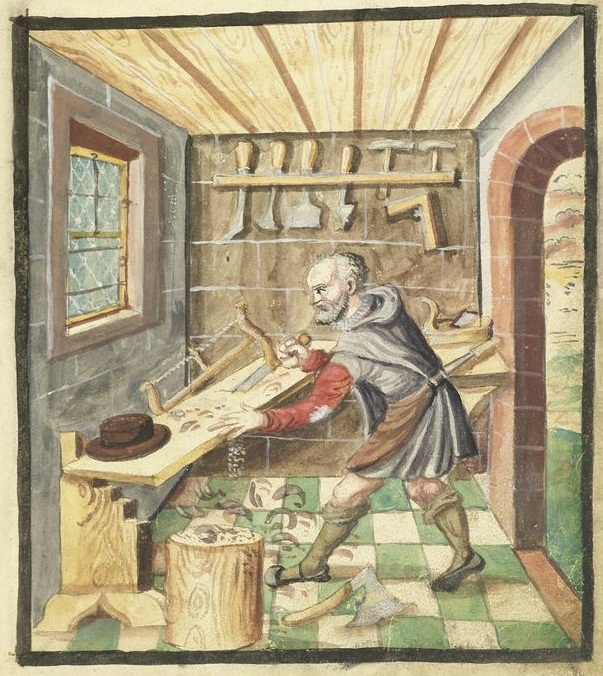 I’ve been digging through this awesome book of trades I found on line. It’s in German, so it’s hard to navigate through. I found the link through the most awesome blog ever and have been trolling through it for days. Lots of period tools and the like, often in use. Check this awesome picture I found while looking around. 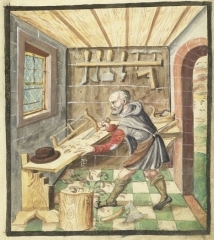 This picture is from 1589 and is essentially what I want to make, and what I want to do with it once I make it. I also liked the clever stand for supporting the work, with the steps cut into it.